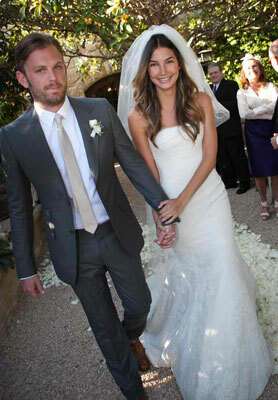 Kicking off the summer weddings was Victoria secrets model Lily Aldridge and Kings of Leon singer Caleb Followill on May 12, 2011 in Montecito , CA .The couple exchanged vows at sunset in front of a small group of friends and family at the San Ysidro ranch.Both the bride and groom changed their attire after the ceremony to some much more relaxed attire. After that they shared dinner with their guests in front of the outside fireplace under the summer evening sky. Though this couple is very well-known you will find that they did things very low-key and intimate , a welcome aversion from their day-to-day lives. 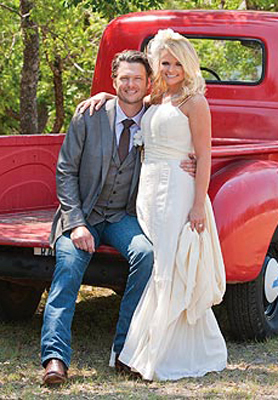 The next beautiful summer wedding of Miranda Lambert and Blake Shelton was one that featured plenty of southern comfort.This couple wed on May 14, 2011 in front of a large group of wedding guests. The Bride and her bridesmaids paired beautiful cowboy boots with their dresses while the groom paired some wrangler jeans with his suit jacket, vest , and tie. Their ceremony took place in a candle-lit barn filled with plenty of country accents like rustic glass , twigs , and honeysuckle. The couple recited vows while standing on a cowhide rug beneath an arch made of antlers. At the conclusion of the vows, they walked back up the aisle to “Happy Trails” and hopped into Lambert’s red ’55 Chevy truck to head to the reception. They were met by the bridal party who took hay rides to the party. 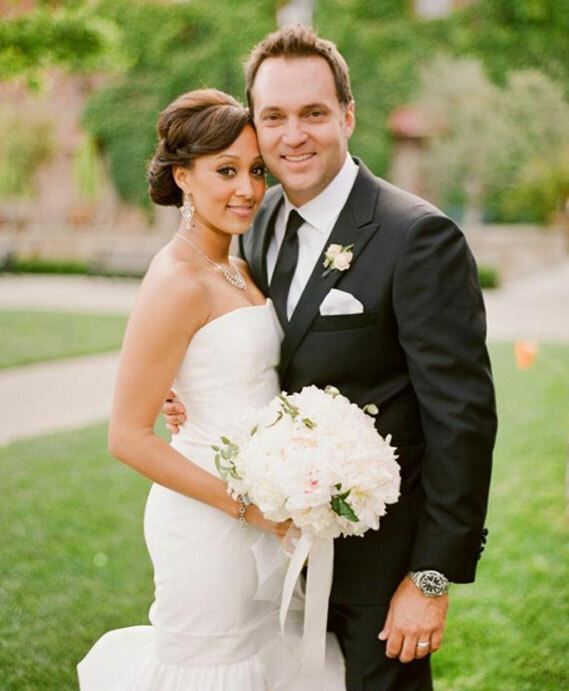 This next simply beautiful summer wedding is that of Tamera Mowry and Adam Housely. This duo married in Napa, CA. on May 15, 2011 , while the bride wore a classic white strapless gown the groom paired his tuxedo with converse’s. During the ceremony the couple paid homage to their parents by presenting them all with long-stemmed roses. After the ceremony was over the happy couple went on to their rustic wine country inspired reception. Their reception featured decorated wooden farm tables , beautiful pale pink and white flowers, and hundreds of candles. Their wedding also featured late night snacks of cupcakes as well as a taco truck when the guests were leaving. As if the above weddings stressed less is most definitely more when it comes to your wedding. So if your going to draw inspiration from a celebrity wedding please remember that at times extravagance can be spared. ENJOY!!! This entry was posted in Uncategorized, Wedding Advice & Tips, Wedding Decor, Wedding Details, Wedding Planning, Wedding Style and tagged bridal, bridal gowns, Groom, Layne Corban, marriage, wedding, Wedding Day, Wedding Details, wedding gowns, Wedding Locations & Venues, Wedding Planning, Weddings. Bookmark the permalink.